This beautiful 1860s Greek Revival home and renovated carriage barn combine modern comforts with the charm of yesteryear, and offer plenty of space, including a first floor bedroom with bath. Original wide pine floors and mill-work, an updated kitchen with Brazilian cherry cabinetry, and subtle grace notes, such as stained glass windows, lend the house a magical ambiance. In the fully finished barn, post-and-beam construction and an open plan provide wonderful opportunities for a home business or rental income. 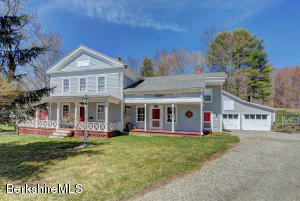 Set amidst lush gardens and stately maple trees in a charming country village (a National Register Historic District), this wonderful property is an easy distance from restaurants, shops, and cultural and recreational amenities, including skiing at Butternut. Beautiful WATERFRONT Estate Parcels in an exclusive Private Lake Community. Sited within walking distance to the private grassy beach where you can keep your kayak or sunfish on Lake Windemere! Lot 26 is sited on an INTIMATE WILDLIFE POND. Lot 20 is over 91/2 acres! 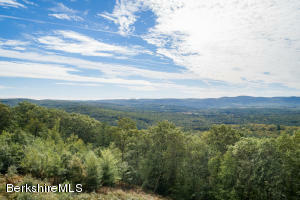 Lot 24 is wonderfully level and over 61/2 acres. 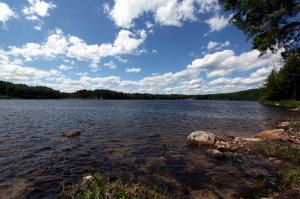 There are just 14 deeded lake access parcels available. You can walk to the grass beach on the 100-acre crystal-clear lake - perfect to launch your kayak, canoe, swim or sail from! Minutes to the Southfield Store, or dinner in New Marlboro village at Cantina 229, The Old Inn on the Green or Gedney Farm and just about 20 minutes to Great Barrington. 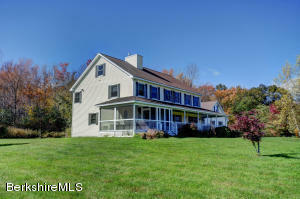 Located in the desirable Canaan Vallley, and under a 3 hour drive from NYC. A truly splendid French Country home in the Southern Berkshire County. Built in 1991, this house is in superb condition. 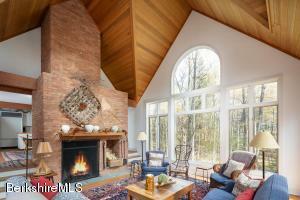 The main level has an open floorplan of kitchen, living and dining room with fireplace. The cathedral ceilings give it a very open feel. A master bedroom suite is located at the far end of the house. Another bedroom and bath are just down the hall. Upstairs is a private bedoom and bath, On the lower garden level you will find an additional bedroom and entertainment area. Another room is currently used as a home gym. A screnned in porch leads out to your garden patio with grilling area. If privacy is what you are looking for, over 5 acres will keep you out of sight! Make an appointment today!! This incredible 24 +/- acre parcel with 30x110 embankment, shingle-style barn has many possible uses. New fencing, well, and farm water system installed in 2009. Current property owner raises chicken and pigs and runs a small retail shop. The property, located on Route 57 a short distance to three wonderful restaurants, has a high year-round traffic count and may be used for commercial agricultural use under Massachusetts Right-To-Farm Bylaws. The property has multiple building sites and perc tests, or could be a beautiful estate property. Survey completed but not recorded. Tax information shown is for the barn and 11 acres only. 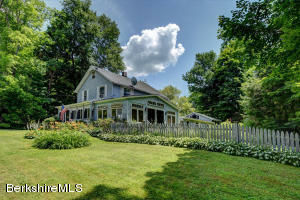 This charming, historic home sits on 62 acres of fields, forest, and hills. The front section dates from the early to mid 1800s and the back section dates from the 1790s. It has been in the same family since 1905. Original features include pine and oak floors, old farm kitchen, carriage room, sewing room, and parlor. Set on a quaint country road, the beautiful Konkapot River runs through the property. Fabulous Opportunity!! Realize your most inspired building dreams on this totally private, western facing WINDEMERE LAKEFRONT lot. 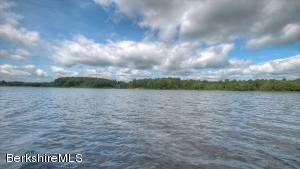 Located on a private 100 acre, pristine, non-motorboating lake in an established community of fine homes this six acre lot has over 300 feet of lake frontage. 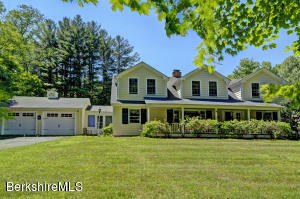 In a Berkshire market that has so few existing lakefront properties, build your own! SOUTHFIELD VILLAGE, located in town of New Marlborough, is site of this welcoming and wonderful, turn-of-the-century 4-bedroom, 2 1/2 bath Colonial. One of the last truly unspoiled villages in the Berkshires, neighbors are friendly and rocking chairs grace the front porches. The wonderful Southfield General Store is the center of the community. Move-in condition, large spacious kitchen with prestige appliances, first floor master, 2 gracious screened porches, enclosed patio/meditation room. 15 minutes to the center of Great Barrington. New Marlboro is home to beautiful lakes, restaurants, hiking, biking, boating, and 2 1/2 hours from both New York City and Boston. 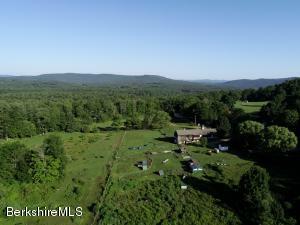 Known simply as ''The View'', this magnificent 70+ acre building lot has 180-degree views of Massachusetts and Connecticut. Face south or southwest for exceptional sunlight and energy efficiency. Access to the building site off of Foley Hill Rd is already roughed in; it's relatively flat and does NOT require a steep driveway. 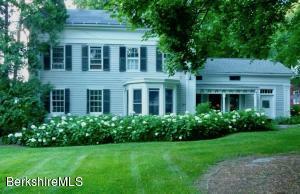 Total privacy, low taxes, and less than 10 minutes to the Southfield store. Once-in-a-lifetime opportunity to build a once-in-a-lifetime home. Country Road Take Me Home. 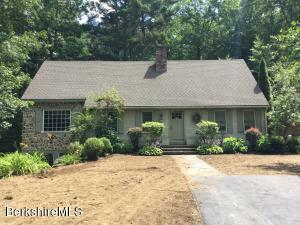 Home to this 4 bedroom, 2 bath Colonial Cape. Built in 1955 with new addition added. Just a 15 minute ride through unspoiled scenery to this charmer. 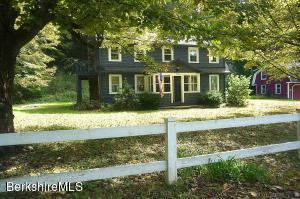 Bring your rocking chair and watch the sunset from this cool porch or deck overlooking the totally 5+ private acres. Enjoy whipping up a farm style breakfast in this charming country kitchen. This family has filled this house with love and now it is time to turn it over to someone else to enjoy. 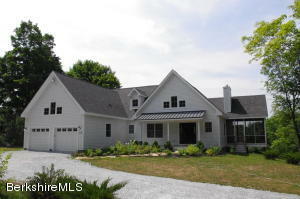 TOWN AND COUNTRY LIVING.Enjoy village living with 20 acres of country living. Hike the trails or get a horse and ride. 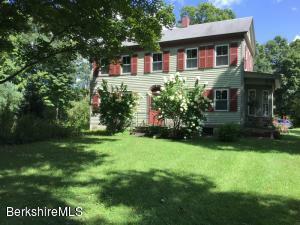 You will adore the charm of this 1795 Colonial home with fabulous history. Once a Hotel in a thriving village then converted to a 6 bedroom home. Carefully restored and updated. Original floors, doors, woodwork, two fireplaces and a chef's dream kitchen. Lovely gardens, covered porches,a patio and a babbling brook makes this a very peaceful, tranquil property. 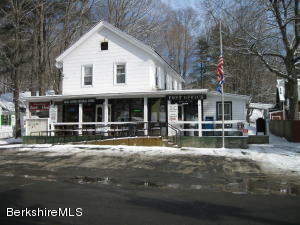 This is an apartment of above the Mill River General Store,which is a business opportunity ,located in New Marlborough,it offers groceries,wine and liquor ,deli,sportsman's accessories,The US POST OFFICE,2 car garage ,General Merchandise,and many other possibilities could be added. The Mill River General Store also offers a coffee club where folks come to chew the fat .